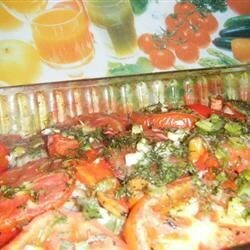 "Chicken and eggplant sauteed, then baked with dill weed, turmeric, tomato and onion. Serve with hot cooked rice, if desired." This recipe really is a great lite dinner in the summer. Also takes care of alot of Veggies from the garden. This was amazing. I used chicken tenders instead of a whole chicken. Really easy and really delicious. Very good, but I'll cut back on the amount of turmeric I use next time. Was a little overpowering for me.